Honour and Darkness: Uruk Hai 20th anniversary tour news...! Heavens above, Nazgul, what’s all this then? It’s highly exciting news of a promotional tour for Uruk Hai! Hot off the press – and news doesn’t get any hotter than this! – here’s an exciting update for any of you wondering where to book your holidays either in October this year, or April 2019. Yes, it’s 20 years since the inception of the mighty Uruk Hai and plans are afoot in deepest Austria to celebrate the fact in style. 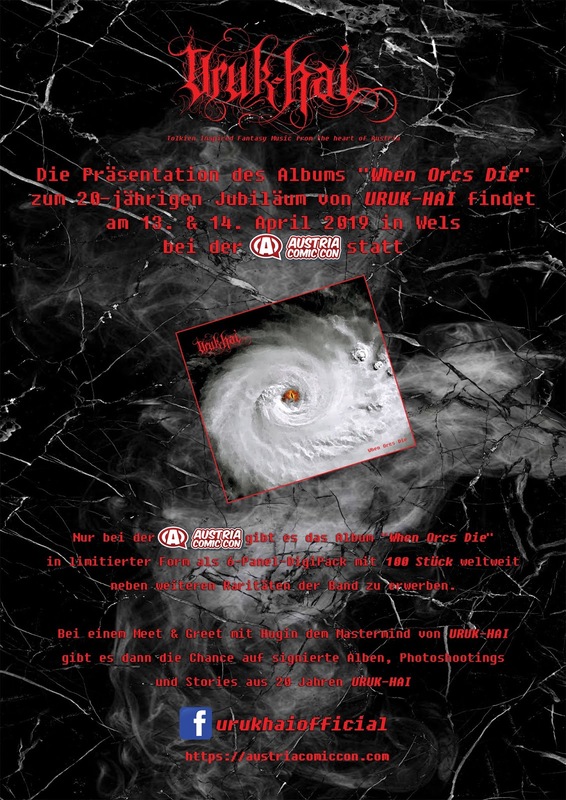 A stall with many rare records, posters, shirts and different collectible merchandise stuff, in the present of mastermind Alexander “Hugin” Wieser will of course also be presented. A Meet & Greet plus autographs and photo shootings at the events is possible too. This event in the beautiful Mühlviertel (Upper Austria) will be also the kick off of an URUK-HAI convention/fantasy festival European tour which has its highlight at the Austrian Comic Con (http://austriacomicon.com) on 13th &14th April 2019 in Wels (Upper Austria) with the official release date of the 20th anniversary album “When Orcs Die” in a special limited edition for this event only! 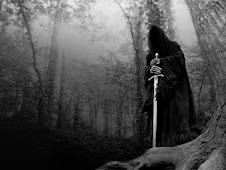 Because URUK-HAI was found as a studio project only, is it finally the chance for fans and friends of this Tolkien based Fantasy-Music to meet Hugin in person. Get in touch to book URUK-HAI for your event too!" I’m liking that last line a lot – I have visions of you all contacting Hugin to book him in for birthdays, barmizvahs, and barbeques! So what's not to like - get your tickets and plan accordingly? !